The American use of torture, then called the “water cure,” in the Philippines during the war of 1899-1902 shocked some Americans of the day. 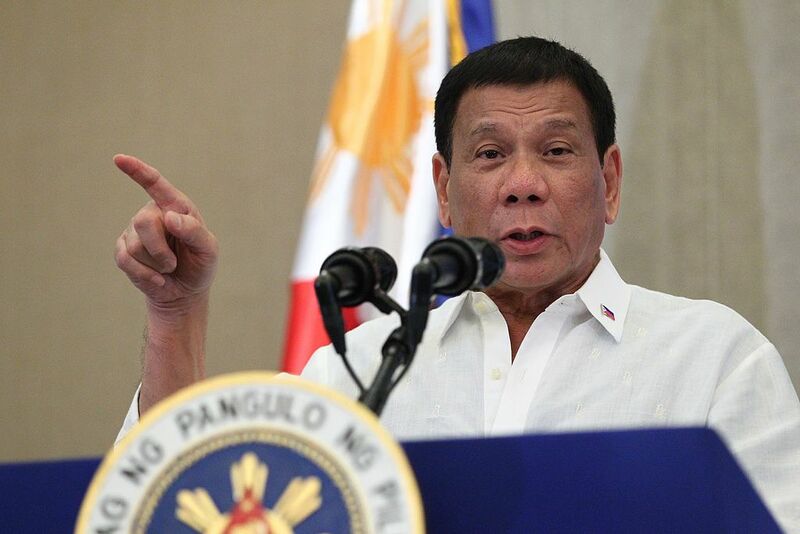 Rodrigo Duterte, the President of the Philippines, has been invited to the United States, a country intimately connected with the Philippine archipelago since the Spanish-American War. When America defeated Spain in 1898, Filipinos thought three centuries of colonialism were over. They declared the birth of a republic, wrote a constitution, and formed a government under the leadership of Emilio Aguinaldo. But by the terms of the Treaty of Paris, which ended the war, America took possession of the over 7,600 islands that make up the Philippines by paying Spain $20 million for them. Perhaps unsurprisingly, many Filipinos were outraged. 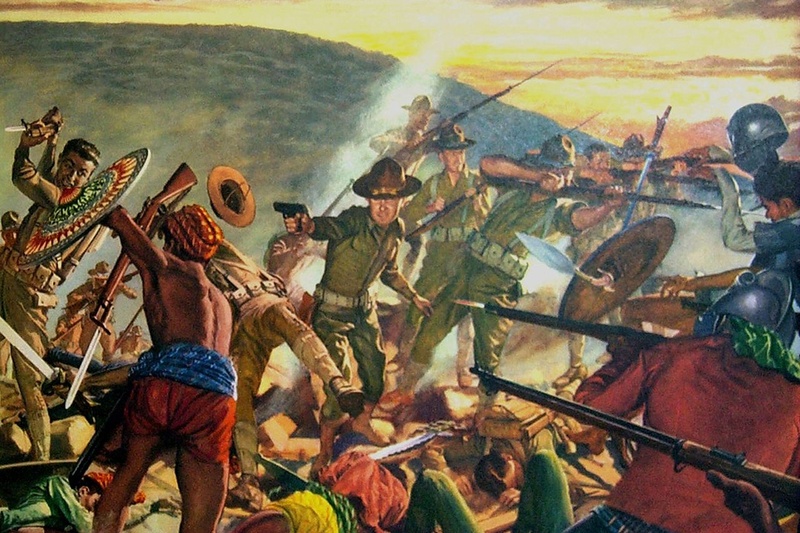 The Philippine-American war that followed from 1899-1902 is considered by many historians to be the first counterinsurgency fought by the U.S. The war featured guerrilla warfare by the Filipinos and, on the American side, “concentration zones,” scorched earth tactics, retaliation, and torture. The war was intensely criticized in the U.S. by anti-imperialists like Mark Twain and Democratic Party leader William Jennings Bryan, who were the most notable critics of the war and the way it was fought. Military dissenters were also prominent critics. Frank Schumacher details the debate over the use of torture by American forces in the Philippines. In the “water cure” a prisoner’s mouth and nose were flooded with torrents of water from tanks funneled through syringes. Today we call this waterboarding. In the face of all the controversy, the Roosevelt administration declared victory in 1902. 4,200 U.S. soldiers and 20,000 Filipino soldiers were dead. Civilian casualties have been estimated from 250,000-750,000. The White House valorized U.S. troops, but it was the U.S. military’s own who begged to differ with the White House. The Commanding General of the U.S. Army’s report found that the American use of torture was systemic and the result of a breakdown of moral order. General Miles wrote “nothing could be more detrimental to the military service of the United States, or more discreditable to American arms, than the commission, or in the slightest degree the justification of such acts which belong to a different age and civilization than our own.” The White House tried to discredit Miles’s report by saying it was misleading and driven by political ambition. Schumacher thinks historical amnesia, a patriotic eagerness to see the best in “our boys,” and “beliefs in the nation’s exceptional moral superiority” account for the general forgetting of this dirty war. For the Philippines, however, which were released from US sovereignty in 1946, the war was foundational to the formation of their nation. 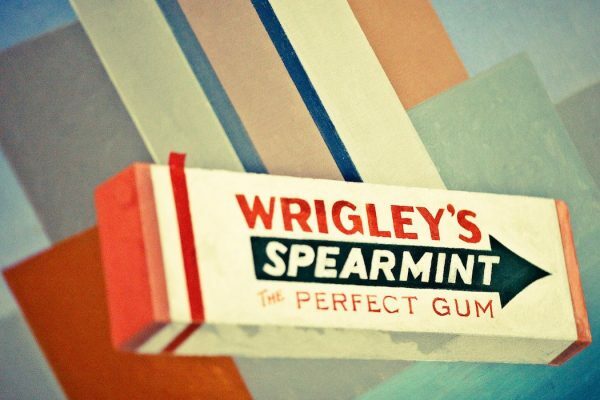 William Wrigley, Jr. started off as a soap salesman and became a prodigy of consumerism. He sold Americans chewing gum with claims of health benefits. What’s On the Other Side of a Black Hole? Horses and mules played a major role in the American Civil War. In the end, there were about twice as many dead equines as humans. In the 19th century, bucolic, park-like cemeteries started cropping up on the outskirts of American cities. The disastrous Bay of Pigs invasion, early in John F. Kennedy's presidency, led him to reconfigure his foreign policy decision-making process.